The Olney Nursery School offers morning sessions for children once they are three. 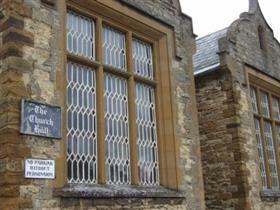 Olney Nursery was opened in 1996 by Sara Lou Knightbridge and is situated in The Church Hall in the centre of Olney. Olney Nursery encourages learning through play but also teaches structured daily activities to support learning in the early years. There is dressing up, a book corner, activity tables and a structured programme to introduce children to phonics and basic writing skills.